This was my Christmas tree but I find it cheery so it still has the lights on it. 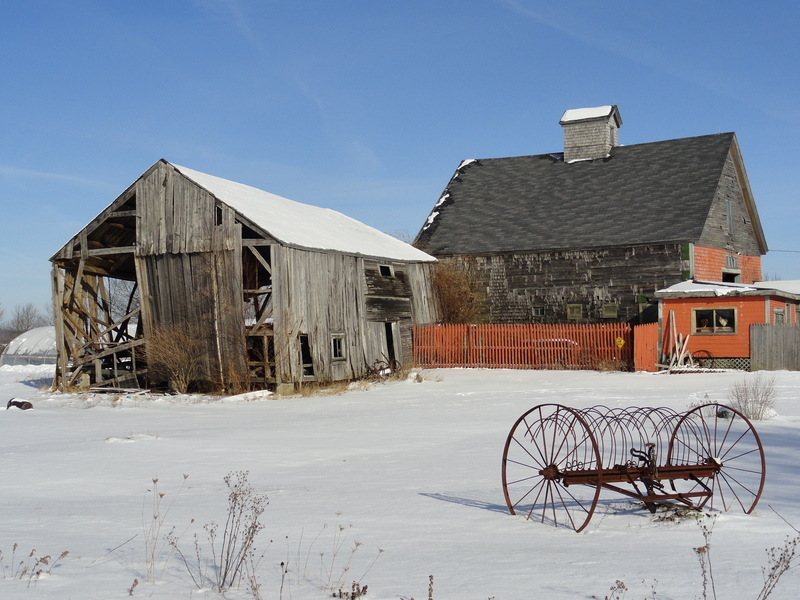 Anxiously awaiting spring…warmer temps….lighter mood for me. for agoraphobia, workaholic, and PTSD. and deep freeze….the same weather I’d left in six weeks before. still hit, just like they always have before I went to Arizona. passing of time, the angle of the sun and more hours of daylight. ps…so, the above was written, and I thought about it: it is what it is. 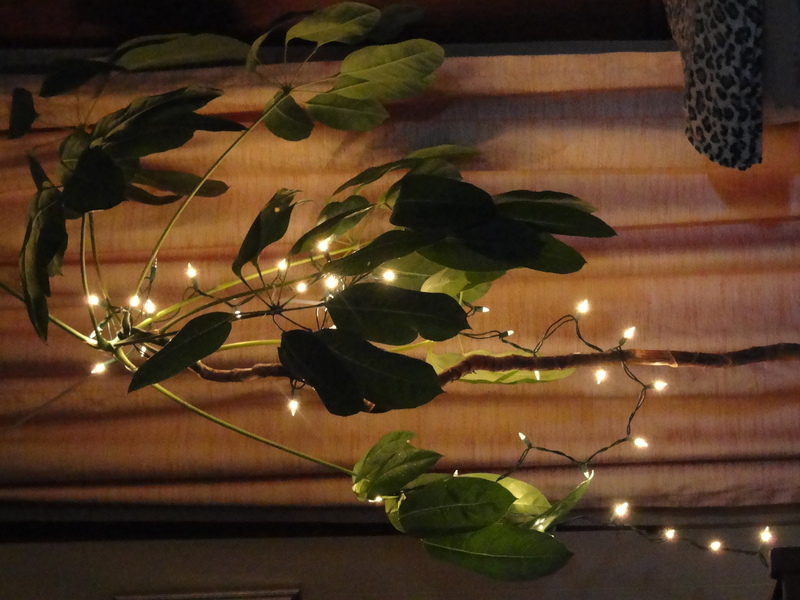 and by the tiny lights on the schefflera tree, we relaxed. 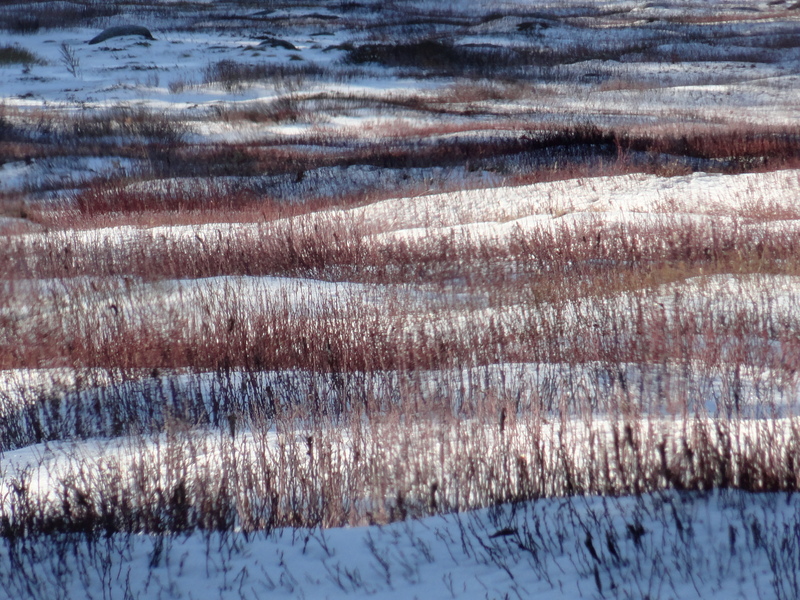 Blueberry field after snow storm appears to be crimson waves. 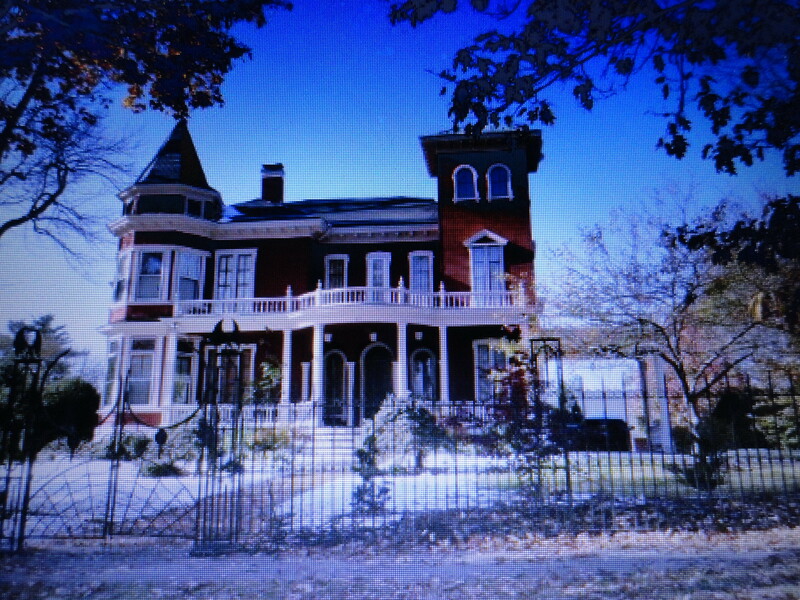 Halloween pilgrimage to Bangor, Maine. Crimson is for blood and gore. Here lives the King of gore. 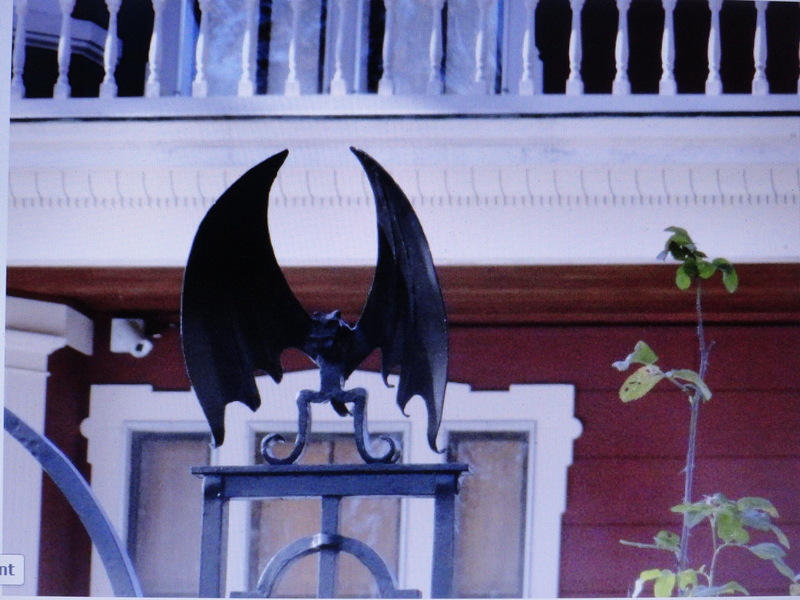 Bats on gate, ?in belfry? Only Tabitha knows. 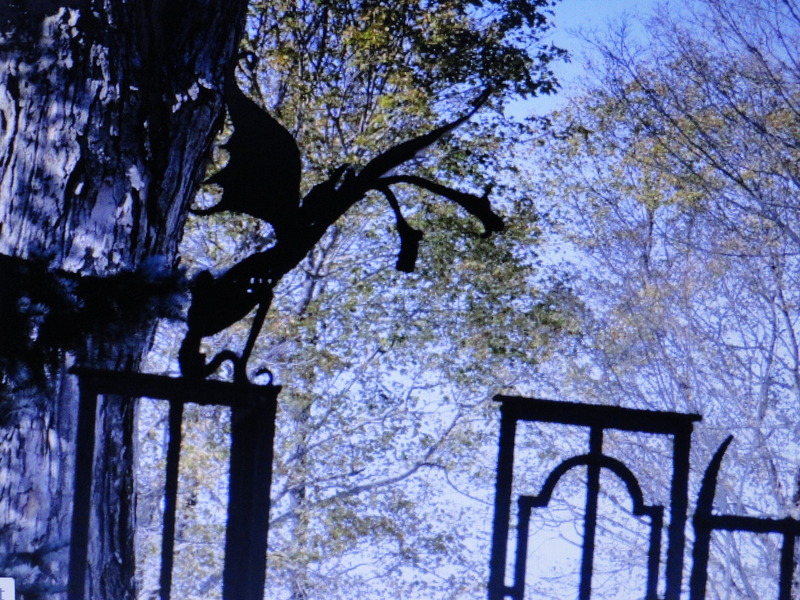 A dragon guards the driveway. Beware it says. Strangers not welcome. 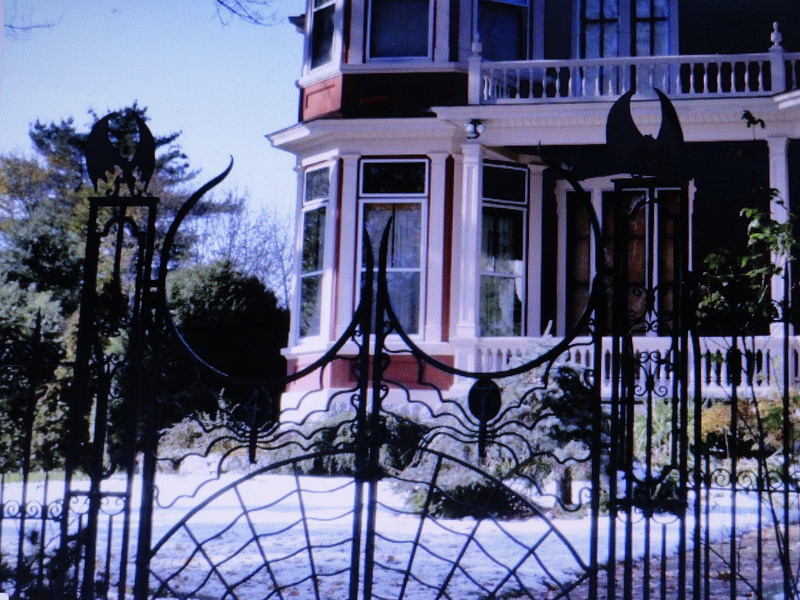 Magnificent Spider web gate. Intricte detail. Welcoming to look at, don't try to enter! 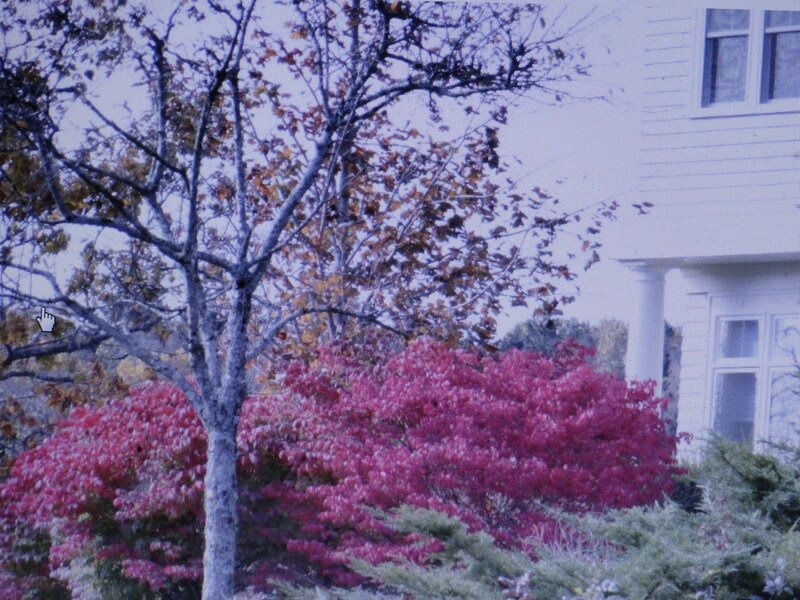 Crimson burning bush is a beautiful sight. 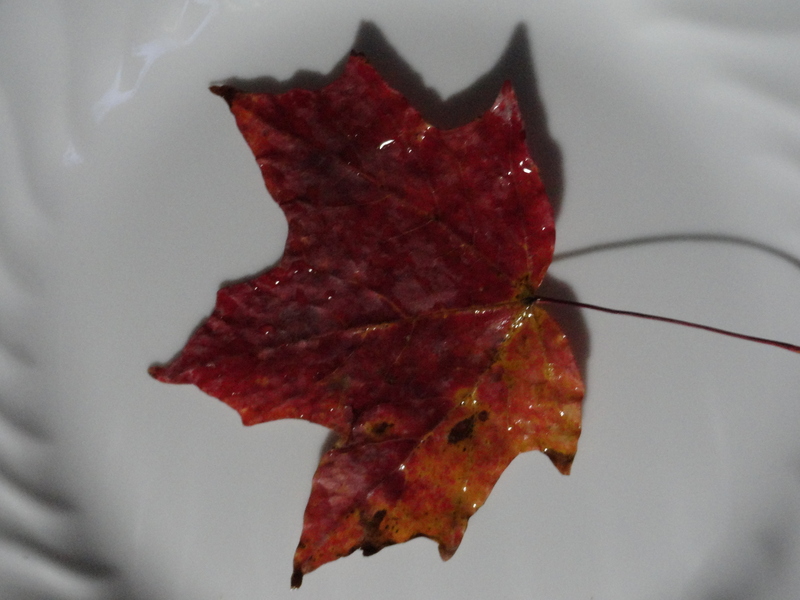 Crimson leaves of fall delight every year. 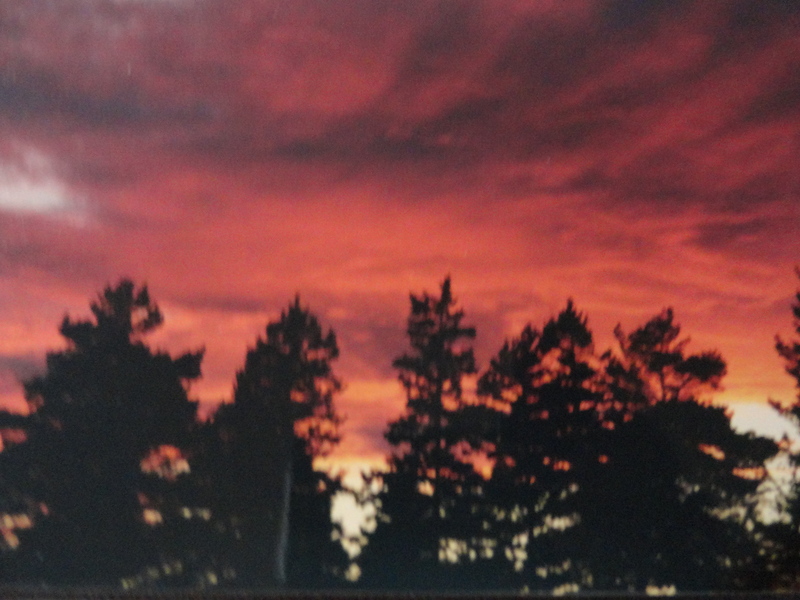 I love the crimson sky....this one in the evening, with the hope for a delightful day to come tomorrow. Can you see the blue glow in the lower part of the window ? It is what got Bianca's curiosty. the cruiser’s blue lights were turned off. One view from my back door. Mid way you can see the Union River lightly frozen and covered with the snow of the previous night. Expected what ? Balmy temps? 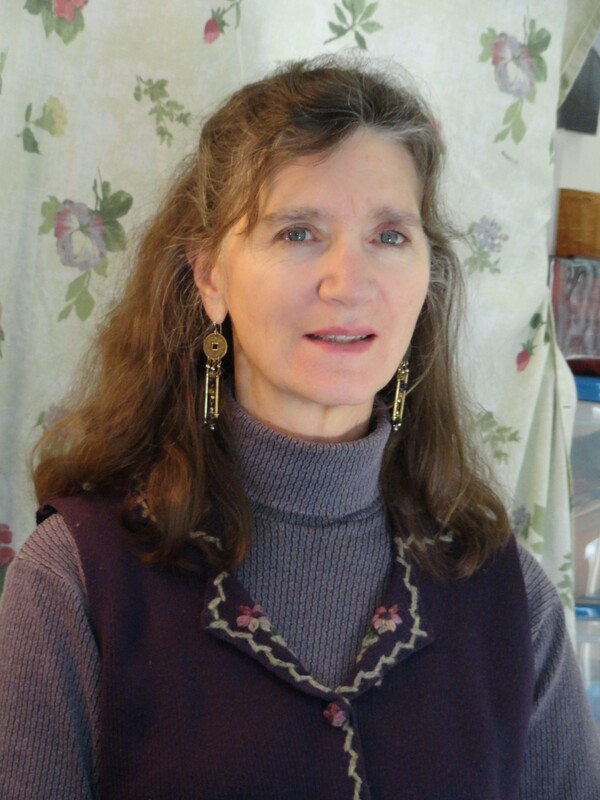 Why does mother feel older? poop. Smile. Life goes on. Happy 46th birthday to son, Bret, last week. Happy 41st Birthday today, to my daughter, Stacey. 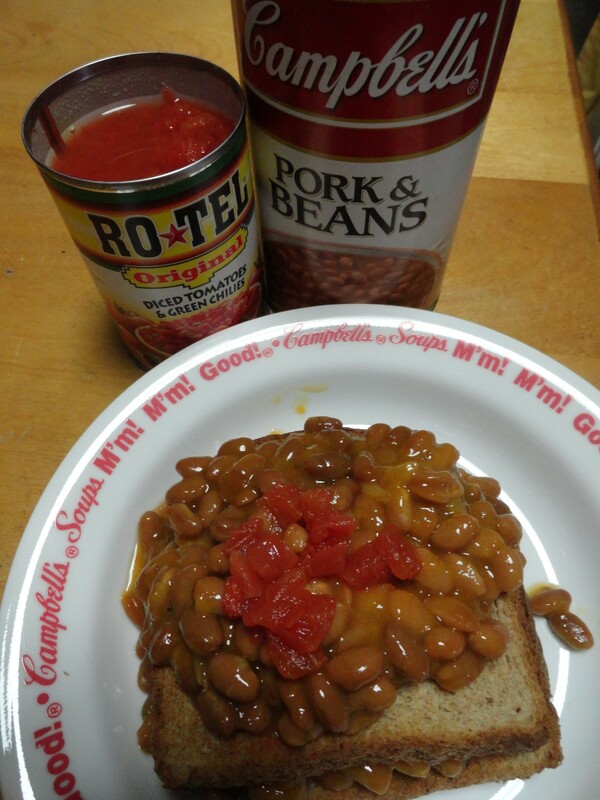 My version of a friend from Englands favorite meal...beans in tomato sauce, on toasted bread. I love the spicy tomatoes and added them. what struck me to take the photos I took. was recorded as matter of fact. the magnificent…I was quite bland ! The weather often has been cold with a wicked wind chill. so it’s not every night, but some nights are damp and windy. from the warmer sunny days melting the snow. and I choose to live in Maine in the winter. into my driveway and over me ! 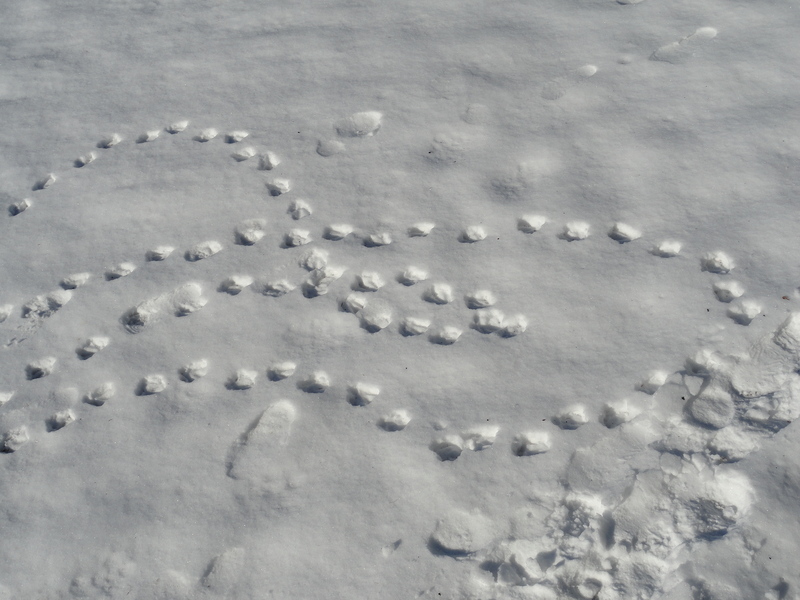 At the Somesville library, by the mill pond, a heart. 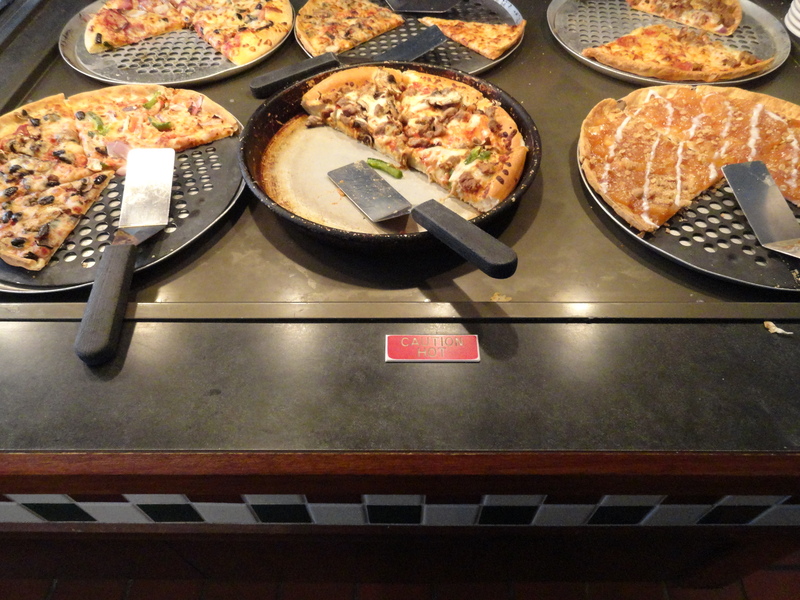 Pizza...my favorite food group...any meal, any time of the day..warm or cold. The writers' group went out for pizza and conversation. 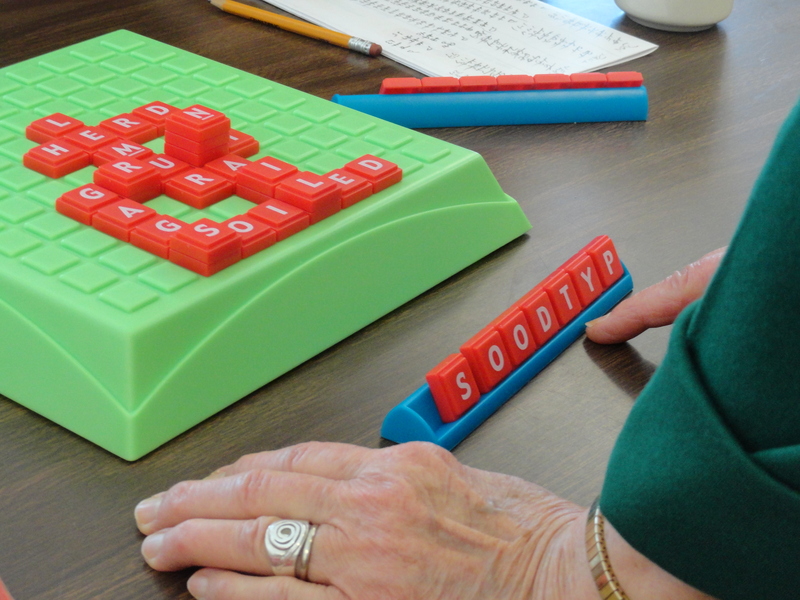 Playing games at the Senior Center. Apples to Apples followed with a large group. 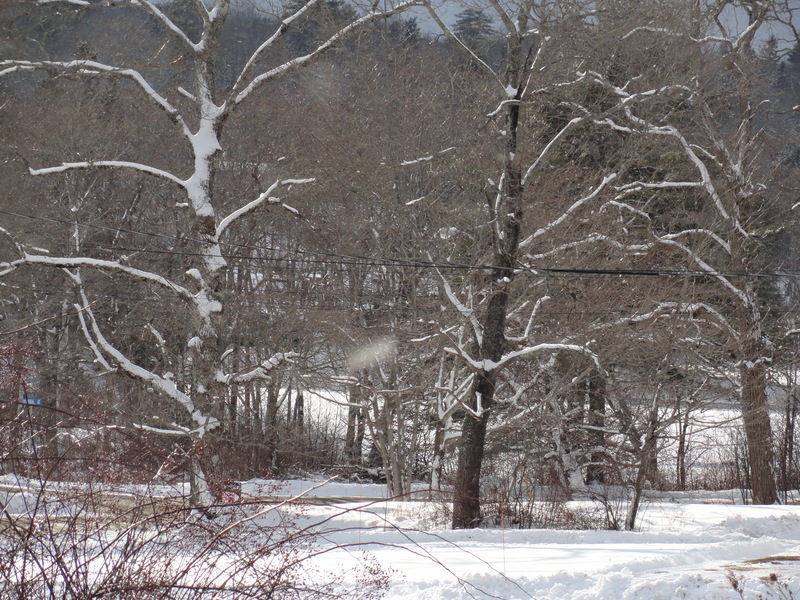 Four inches of snow, no rain...and then the sun. 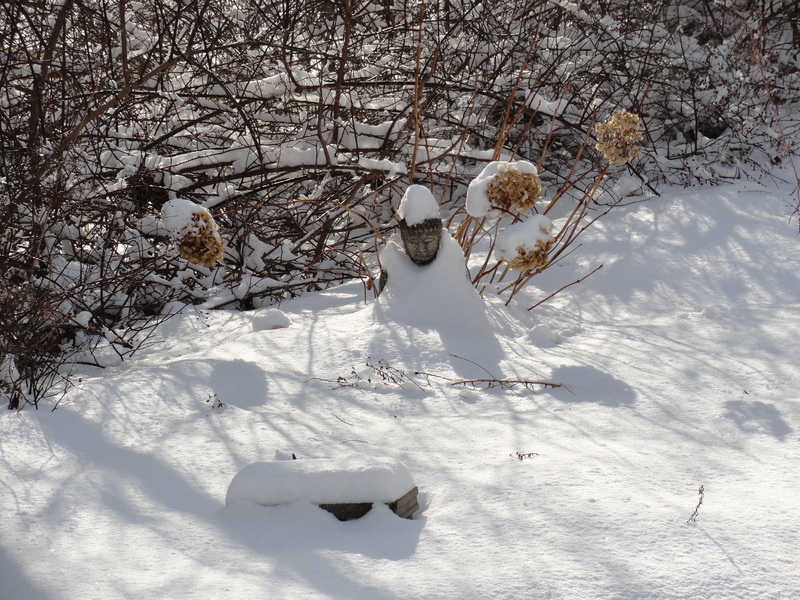 Buddah in my back yard. 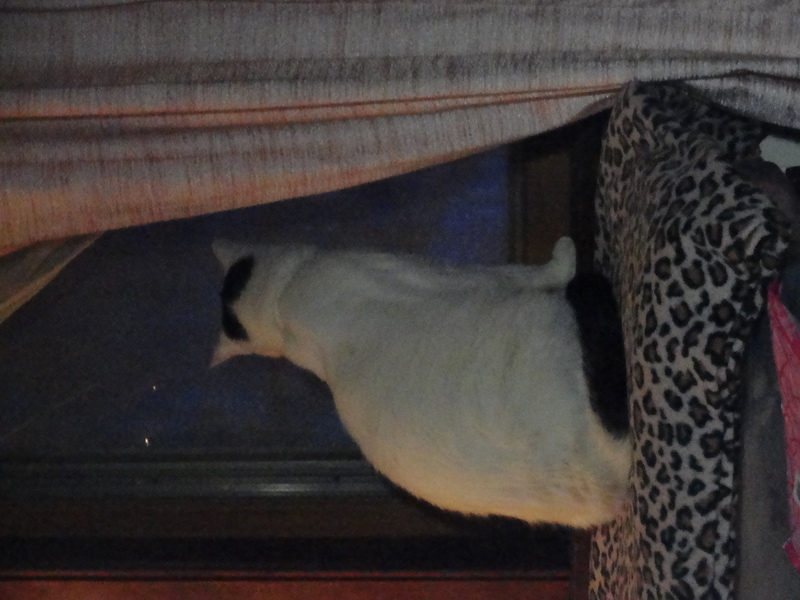 Lightly snowed all day…1/2 “only. 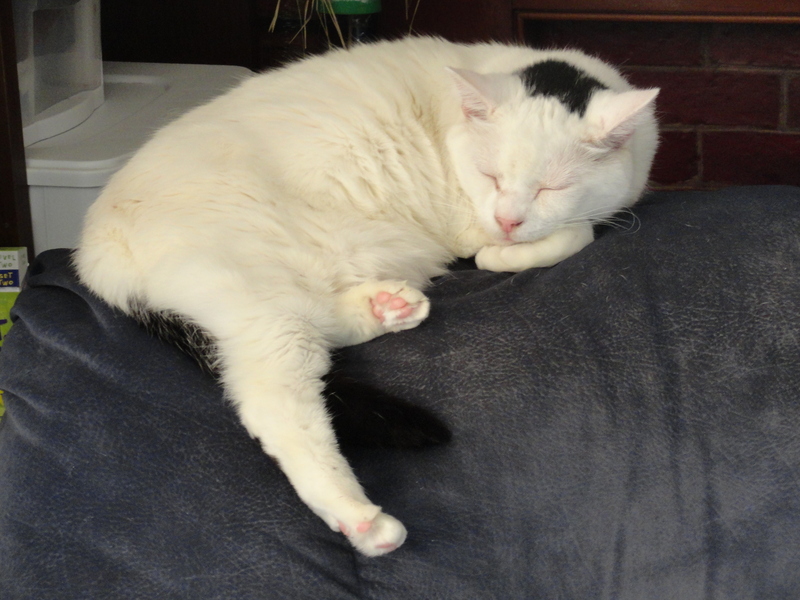 Bianca says it all on how to spend a snowy cold Saturday. Ventured down a road that I see just feet from the Bangor road to take photos of the blueberry field that can be seen from the road. Sort of thought it to be a private road with one or two home on it, but there were many homes, some old, some new, and this place with chickens sunning themsefves in the window. 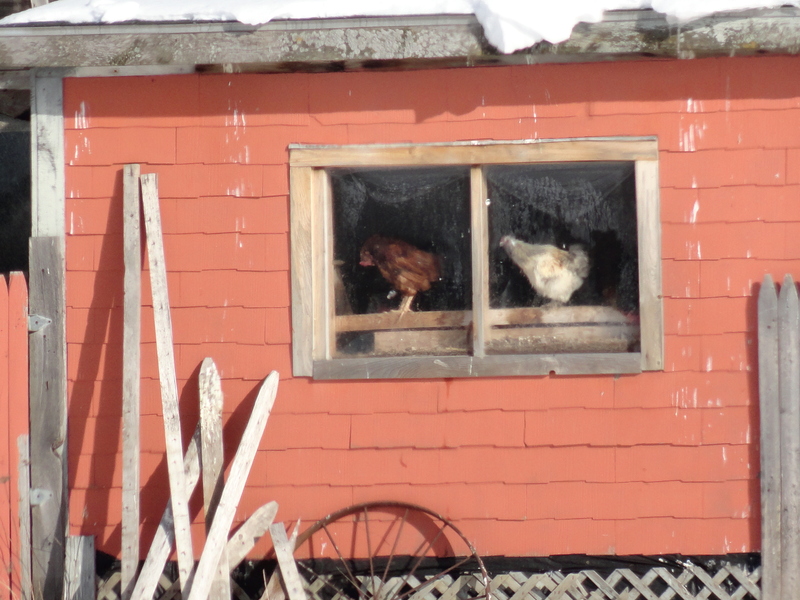 Chickens sunning in the window of the hen house. 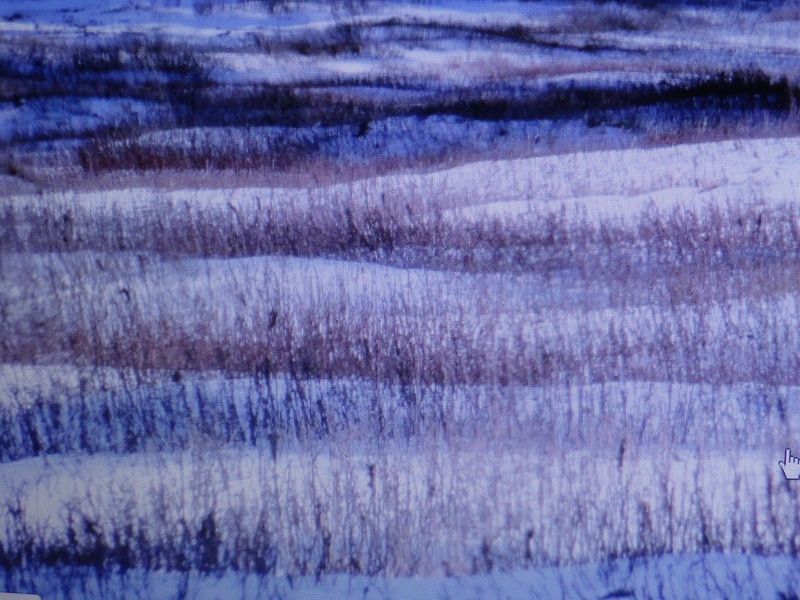 I love the red and white of a blueberry field in the winter....waves of plants and snow. that suffer in an open winter. deep freeze cold and snow. 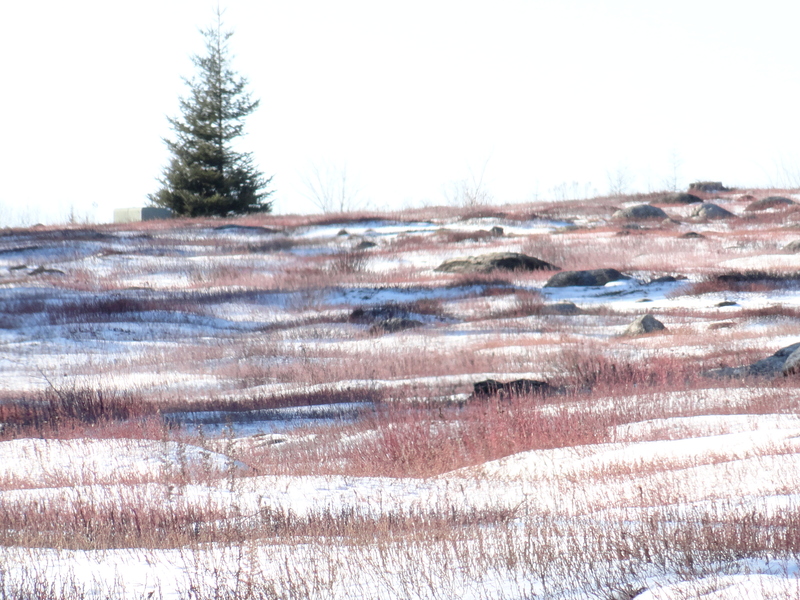 A blueberry field January 22, 2012. .Growers say that blueberries need a good cover of winter snow to be healthy plants in the spring. 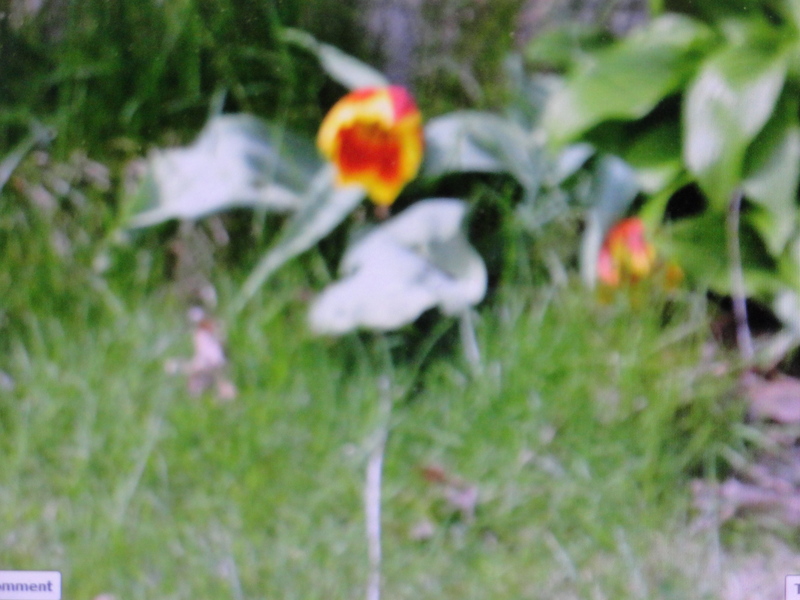 This is the only photo I have of my treasured yellow and red tulip in 2011. I apologize for the poor quality...the camera needed replacing and I didn't realize it. 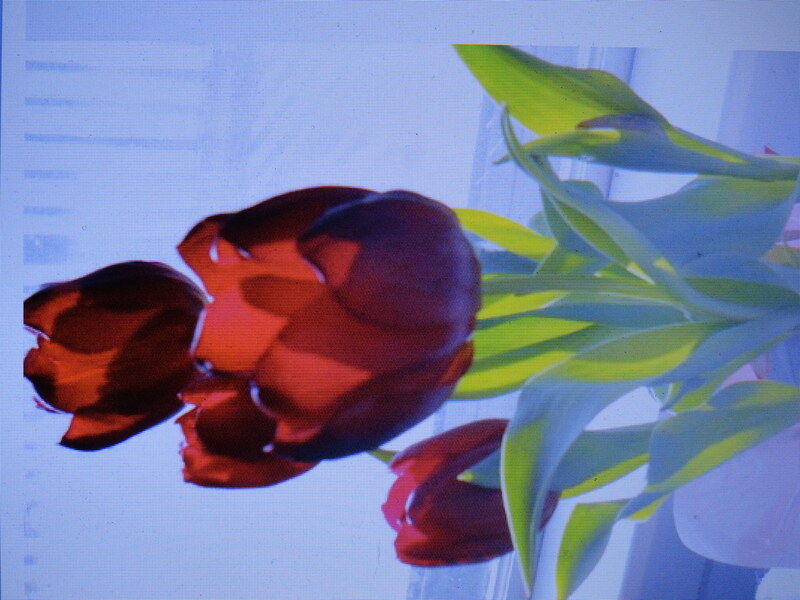 Some years the tulips have been even smaller than this. us from the summer sun. 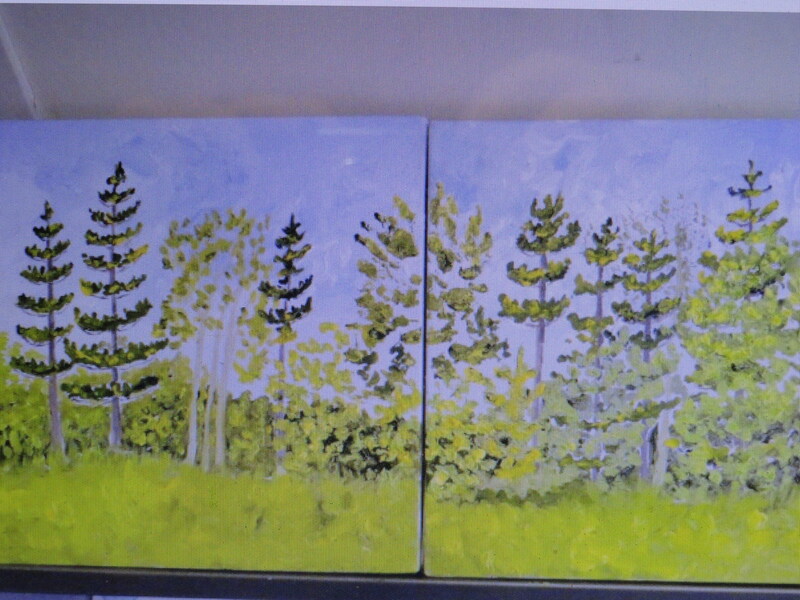 A painting of Maine trees dressed in spring colors. Some of you may have seen this...It was painted for an Alzheimer and related diseases Center that is being buildt.